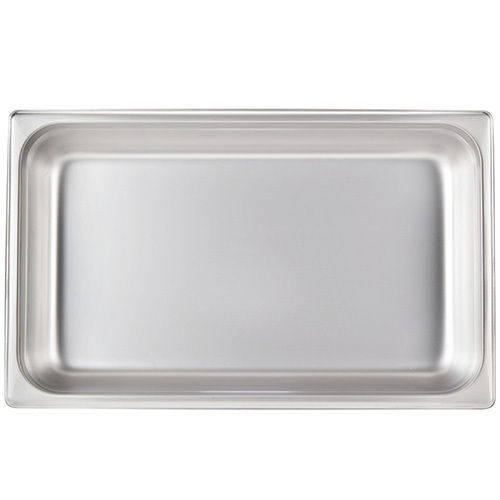 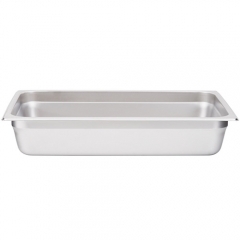 This full size standard weight anti-jam stainless steel steam table pan is perfect for serving cater and sides at your catered event. Easily serve your delicious sides and service in your banquet hall or buffet with this full size standard weight anti-jam steam table pan. 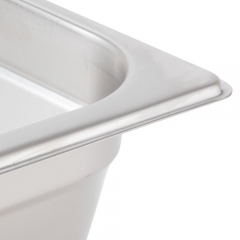 Built from 201 stainless steel, this product is impact resistant, so it’s sure to stand up to long-term use in your commercial environment. 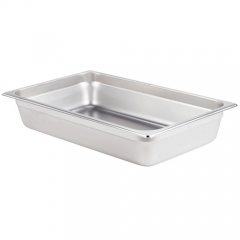 For extra strength, this hotel pan also features double reinforced corners that protect it from damage. 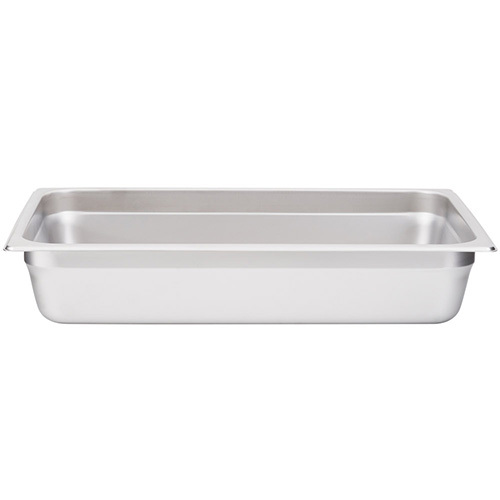 You can even move this pan from your freezer to the oven to your serving line without it bending. 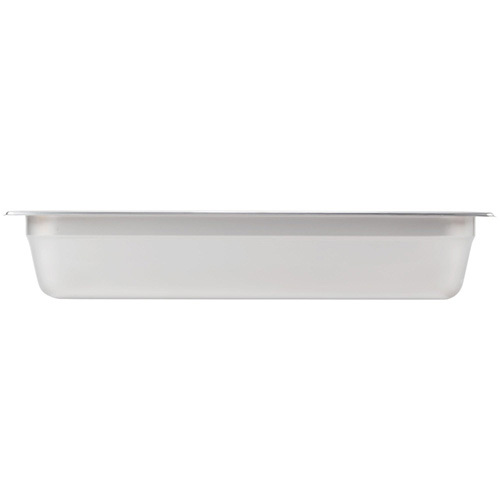 Additionally, this product has a depth of 4", making it ideal for serving sides and salads.